Lunch underwater consists of hot dishes like pea soup and so-called “navy-style pasta.” Submariners also get wine and caviar but only when they’re underwater. 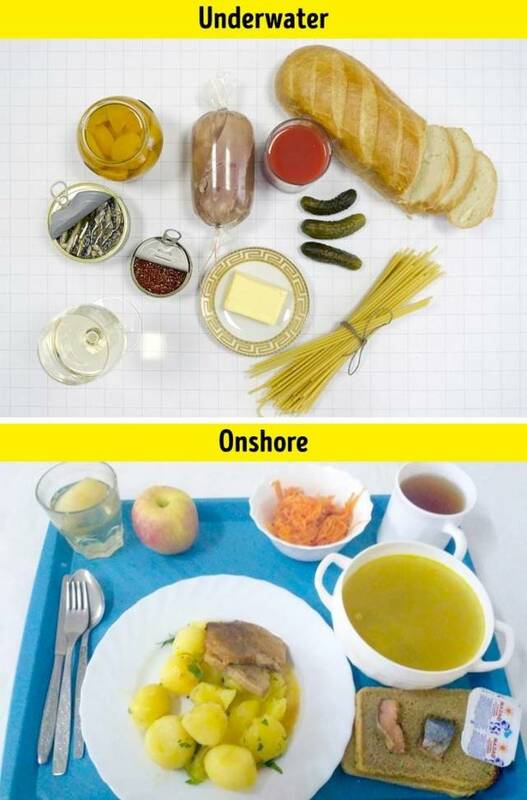 Although the onshore lunch menu isn’t as diversified, it often includes fish. The recommended intake for lunch is 1,200 calories. In the rotation camp of Sabetta, alcohol is strictly prohibited, even in church Christians can’t use wine during the Sacrament. 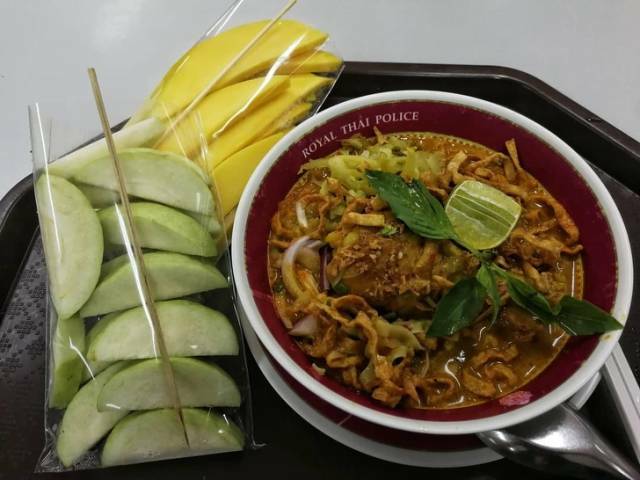 However, workers get fresh fruit, vegetables and cafeterias offer a large variety of cold and hot dishes. All products are delivered by air since it’s impossible to grow food beyond the Arctic Circle. Crews from different countries eat together and often exchange food. For example, American astronauts like Russian cottage cheese in tubes and canned stewed lamb. To prepare most of the dishes, astronauts have to pour boiling water on a special powder and then use a straw to drink it or warm the can up in a special oven. Salt and pepper is packaged to be spread on food (spices are made in liquid form). 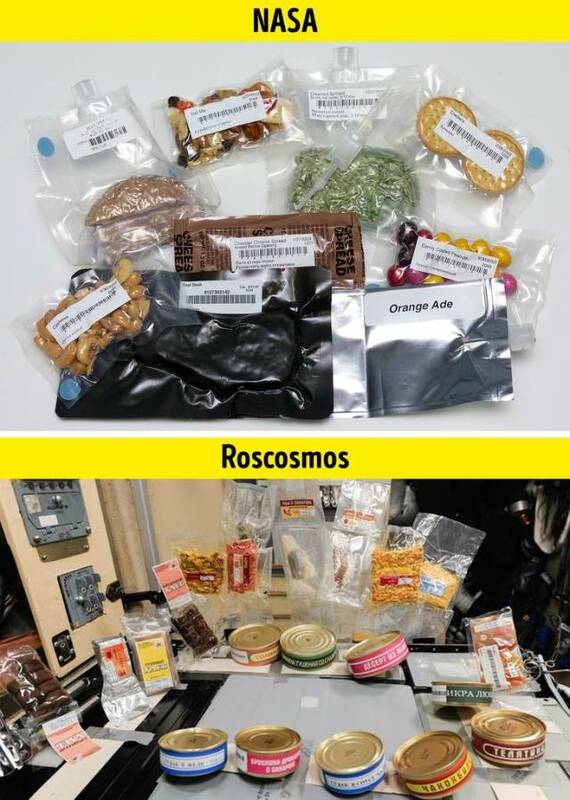 Astronauts consume about 3,500 calories a day. 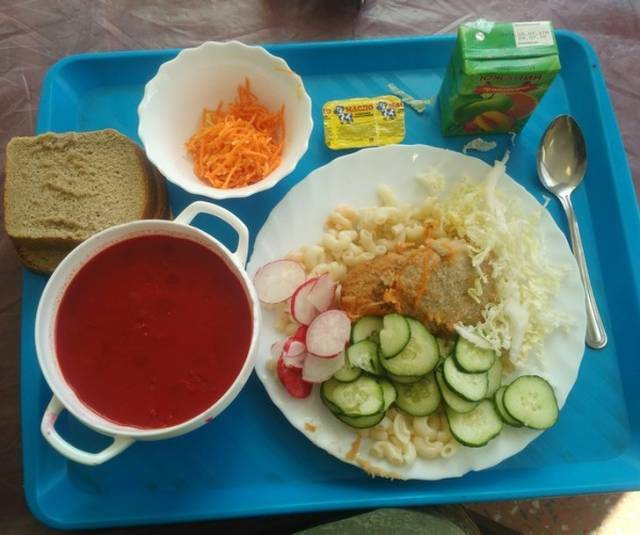 Soup made from fresh cabbage with sour cream, pasta with sauce, cutlet, fruit cocktail, and bread can be bought in the dining room at the factory. And it’s only $1 for 500 calories! 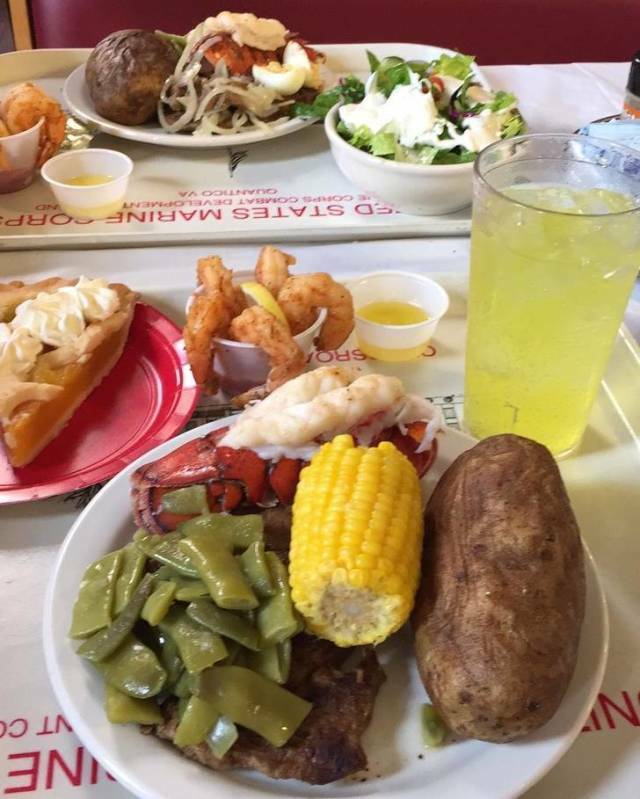 There is a lunch buffet system in the cafeteria: employees get to choose from 2 ready-made salads, 2 soups, 3 hot dishes, 3 side dishes, juice or fruit cocktail. The recommended intake for lunch is 1,980 calories. 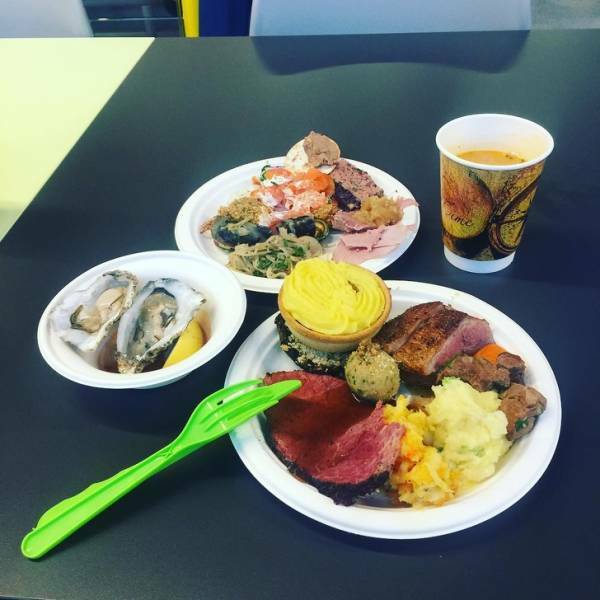 In Finland a lunch buffet system is used as well. 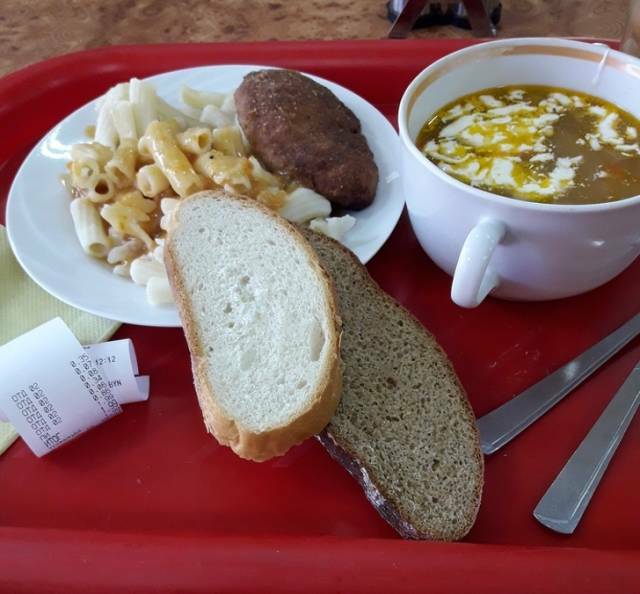 Cafeterias offer simple but nutritious dishes like potatoes with meat or stew, salads, vegetables and fruits, meat cuts, butter, pastries, tea or coffee. During any meal milk or a sour milk drink are always offered. Most major airlines have a rule stating that the pilots should all eat different dishes to reduce the risk of food poisoning for entire crew. 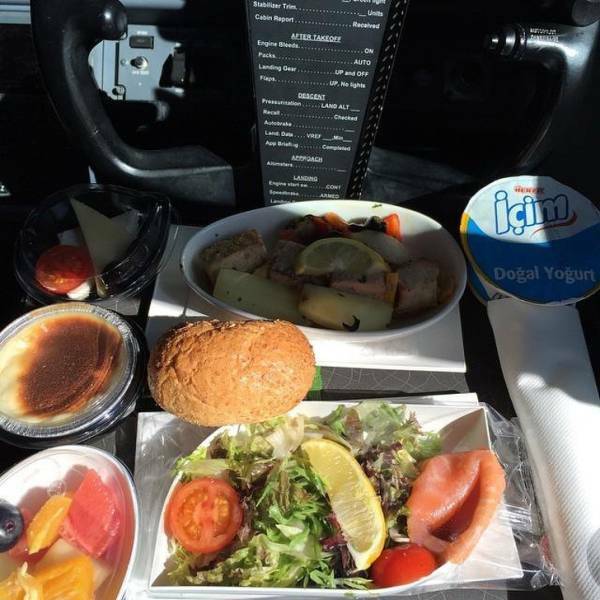 They get the same dishes as passengers from the first and business class. This rule has no exceptions, even if it were the King of the Netherlands flying the plane — he’d have to eat according to the same rules. The approximate energy value for this lunch is 800 calories. 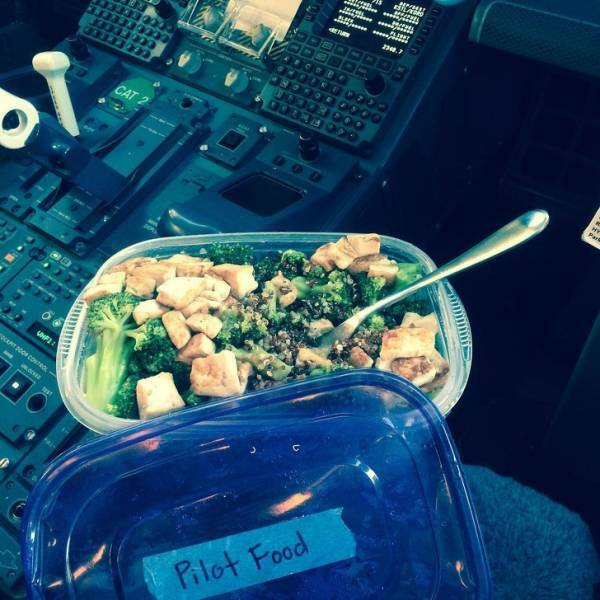 Pilots working for small or low-cost airlines in the US receive identical sets of dishes or bring their lunch boxes with home-made food. Some of them use airport kitchens to cook their own meals. There’s a lunch buffet system in the cafeteria. 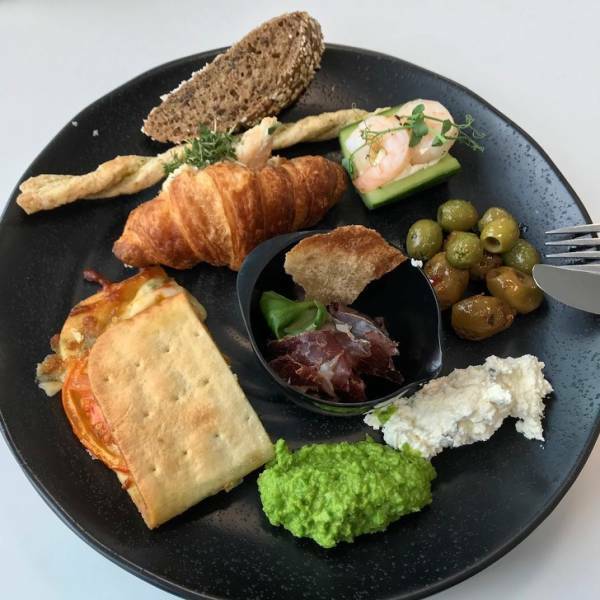 The company likes the idea of healthy diet, so that’s why there’s a plenty of salads, vegetables and fruits, chicken, meats, cheese, and granola bars. Hot dishes are offered as well and lots of appetizers are brought in on Fridays. 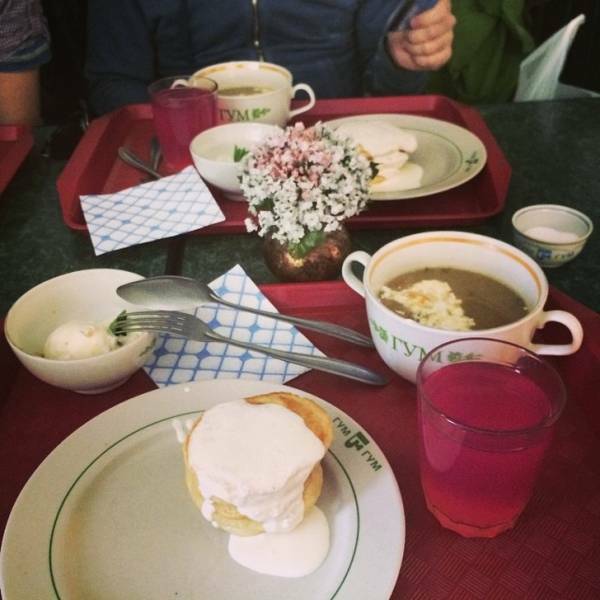 For GUM employees there’s a special cafeteria with branded utensils and dishes cooked according to Soviet recipes. 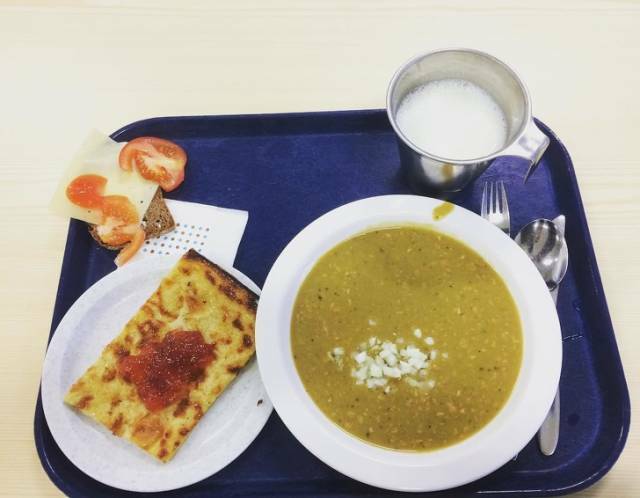 Employees can buy lunch only for 200 rubles (approximately $3). The dining room is located on the ground floor, and you can only get in with an ID card. A similar, but slightly expanded, menu is offered on the 3rd floor in the dining room which is open to all visitors of the shopping center. Emergency physicians have a lunch break, but in most cases they have to eat on the go. Some people buy food at the cafeteria before going to work, while others prefer home-made food. 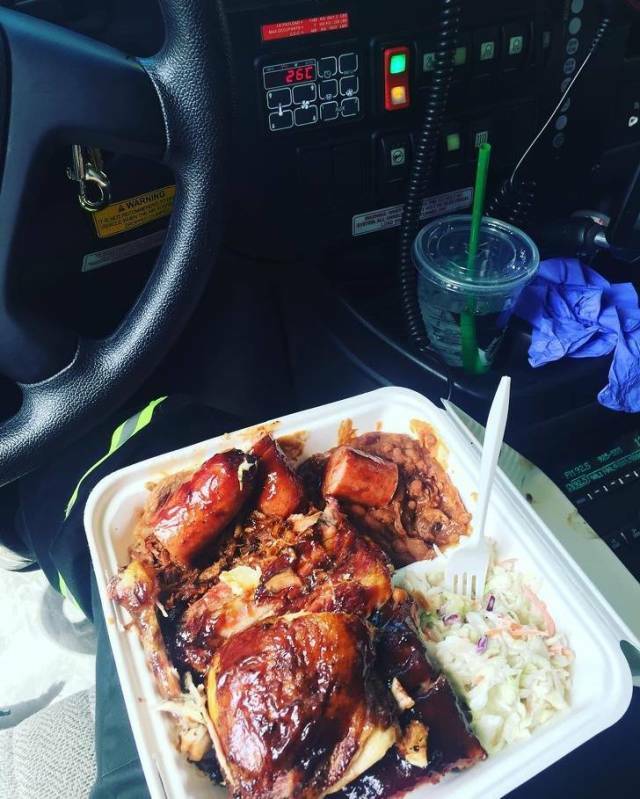 Firemen also have to eat on the go. 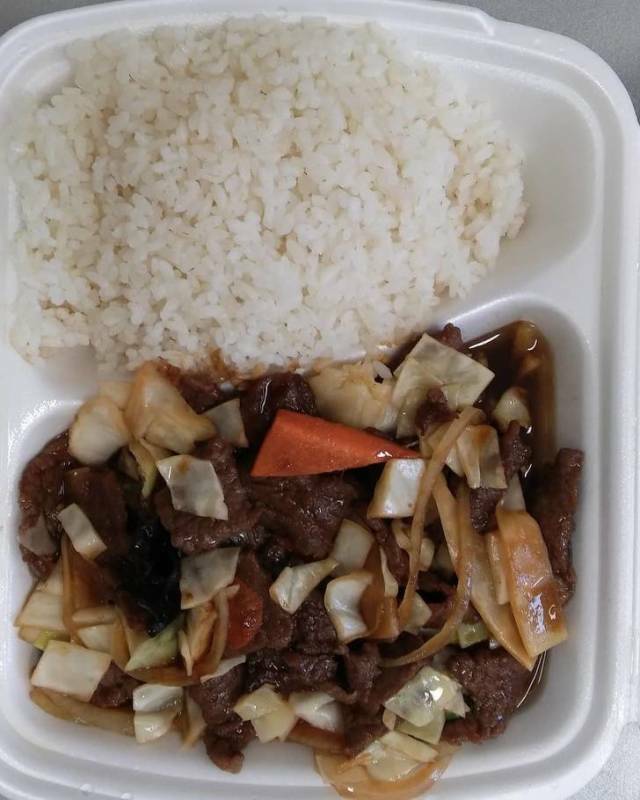 A normal meal usually consists of a large portion of rice with vegetables and meat. When they’re putting out a fire they can use up to 500 calories an hour, so their portions have to be large. The Quantico base is a completely separate facility with its own infrastructure where cafes and cafeterias operate. Lunch for agents of the FBI and special forces should be the most caloric intake of their day. Not all food here is free, but the choices are great and the dishes are rich in protein and carbs: due to active training, the average daily intake is more than 3,000 calories per person. Miners usually eat a large portion of rice with pork, water, and milk as a dessert. In many countries miners use metal boxes to prevent food from cooling off. 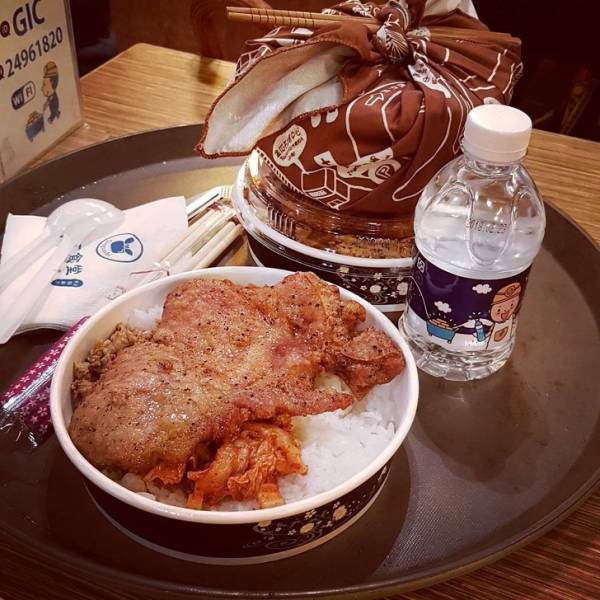 In South Korea they prefer to use an old method where they wrap their lunch box with a cloth. 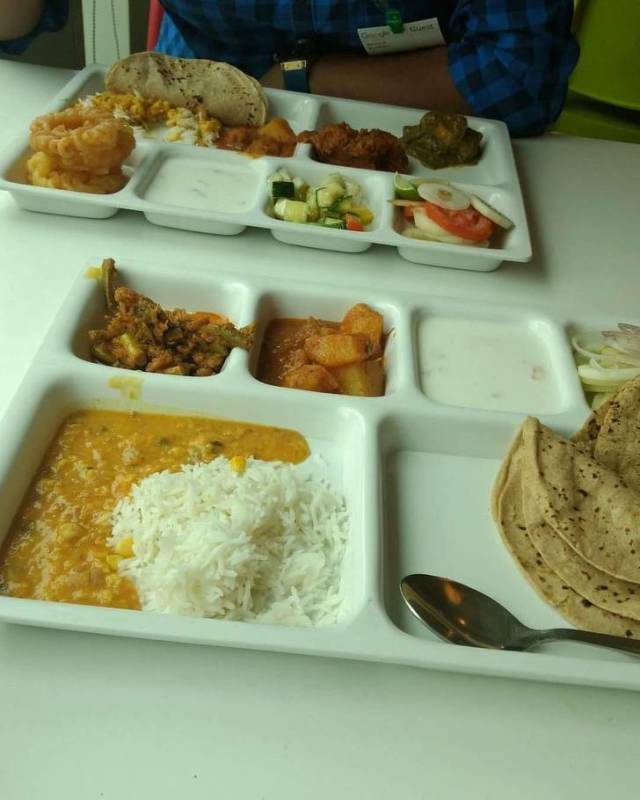 Googles in-house cafeteria offers a full menu consisting of European, Indian, and Eastern cuisine. The dishes are consistently rotated. 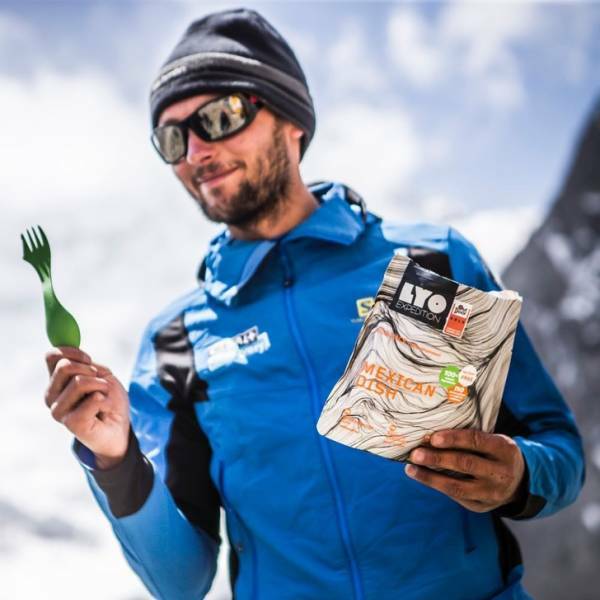 Mountain climbers need food that is nutritious, easy to carry, and easy to cook in conditions where the temperature drops below −30 degrees Fahrenheit. Usually it’s nuts, chocolate, and powdered food that climbers have to cook with hot water to get soup, lasagna, mashed potatoes or pasta. Despite their high social status, policemen aren’t extremely well-paid. That’s why the government tries to support them and they’re allowed to find a second job. A policeman might, for example, also be a fitness instructor to partly compensate meal expenses. 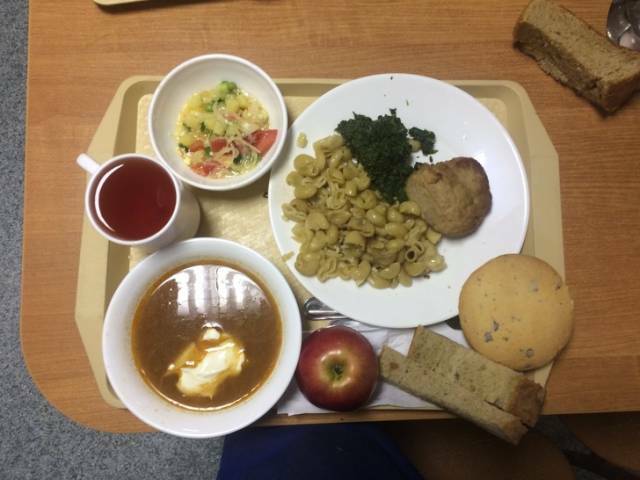 A large portion of their meals consists of hot dish with fresh vegetables, and apples and mangos. This all costs less than $2. The approximate energy value of this lunch is 300 calories. 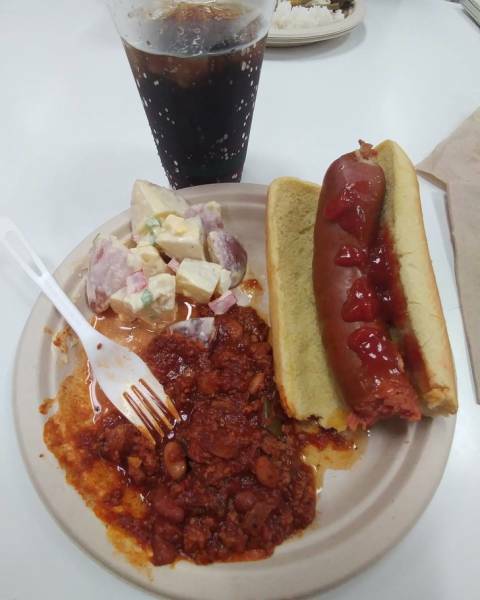 The cafeteria here serves portions that would be enough for 3 people and is famous for its huge menu and the fact that employees can take different snacks, sweets, and fruits back to their workspace. And the best thing is that they only have to pay for coffee! There’s even a bar with free alcohol in many offices. To survive intense training every day and still not gain weight, ballet dancers have to count how many carbs they consume and cut down on sugar. 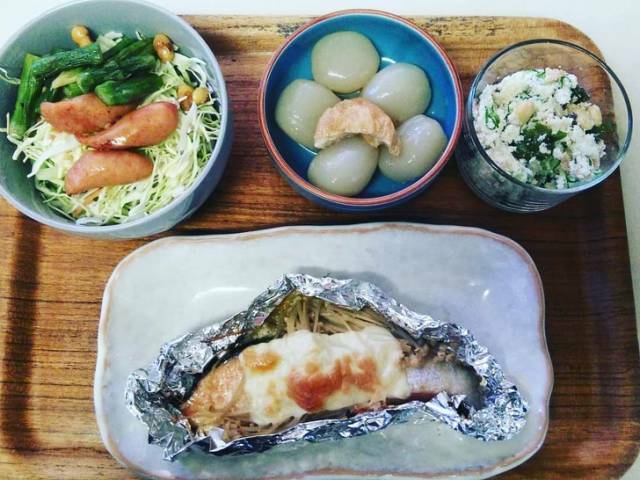 This Japanese ballet dancer eats fish and other seafood, nuts, eggs, vegetables, fruits, lots of jelly to strengthen her ligaments, and tries to avoid meat. She gets around 600 calories for lunch. Many athletes stick to the same diet because it helps the body to use its own fat instead of gaining it from carbs. Tesla employees don’t have to pay for coffee, tea, soda, warm and cold cereal and for some snacks and fruits. The company encourages its employees to eat healthy. Unfortunately, they have to pay for the rest of the offerings. This is exactly what a lunch of marathoners looks like and they’ll eat it while running. Bananas, sweets, chocolate, soda, and lots of drinking water is the essence of their menu. 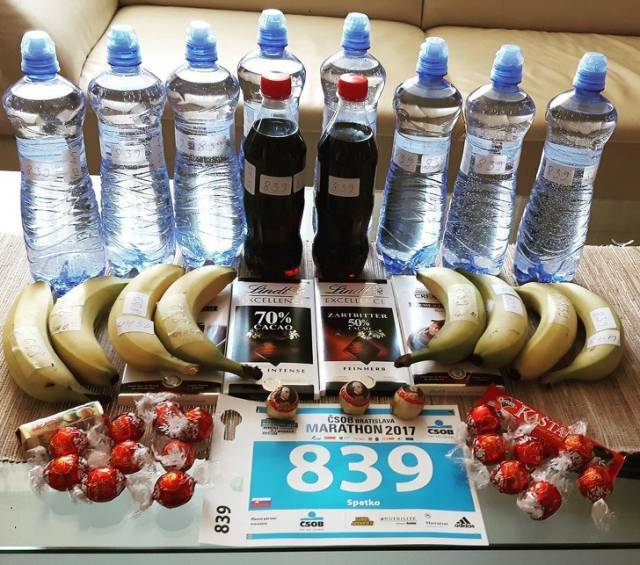 Marathon runners spend almost 3,000 calories over the duration of a race. This constitutes the daily caloric needs of an adult male.